Cholesterol is a waxy like substance that is found in all the cells of the body. This helps in protecting the nerves, making cell tissues and producing certain kind of hormones. Cholesterol is not made by an individual’s liver but also from food. There are two types of cholesterol; Low-density lipoprotein (LDL) and High-density lipoprotein (HDL). LDL is known as bad cholesterol whereas, HDL is known as good cholesterol. 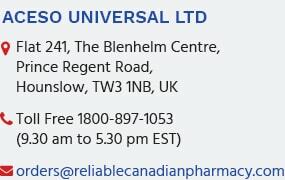 Find high-quality generic cholesterol drugs at ReliableCanadianPharmacy to decrease the cholesterol levels present in your blood.